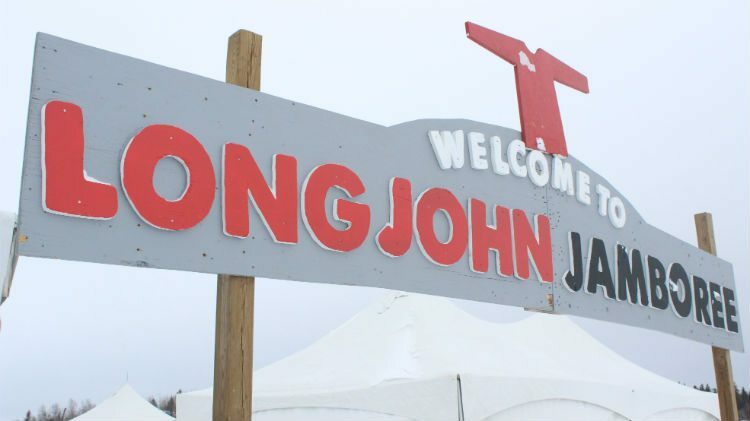 Long John Jamboree will return for a full festival thanks to a donation. The festival will run from March 29th till the 31st and will include the seventh annual De Beers inspired International Ice Carving Championship. Last year, a blizzard with strong winds shut down the festival for a day, causing a loss of $22,000 from the event. Organizers raised $11,000 through fundraising to try to make the money back. De Beers Canada then stepped up and donated the remaining $11,000 fully paying back for last year’s loss. President of Long John Jamboree, Michelle Demeule says the donation not only payed for last year’s loss, but helped kick start their fundraising and sponsorships for the 2019 event. On top of the $11,000 donated for last year’s losses, De Beers will again provide $30,000 to the annual event, which is the second year of a five year, $150,000 sponsorship commitment to Long John Jamboree. Gahcho Kué Mine General Manager, Allan Rodel says that they are pleased to be in a position to be able to contribute the additional $11,000 that was critically needed to ensure the long-term sustainability of the event. The De Beers inspired International Ice Carving Competition is expected to once again draw top competitors internationally and in Canada with invitations already sent out. The field is expecting to comprise of at least eight teams, which is down from last year due to the lateness of the event. Coordinator of the De Beers International Ice Carving Event, Keith MacNeill said that the lateness of the event announcement affected international carvers who had to plan for the event. “The good news is that we are still receiving inquiries at this late stage from a number of world-class carvers, so we are confident it will be top flight field with outstanding entries again this year. We also hope to showcase top local talent as the interest in ice carving continues to grow here at home”. The Jamboree will continue to reach out local businesses and individuals for sponsorship and to organize events for the festival. Interested parties should contact the Jamboree. Details and a full schedule of events for the Long John Jamboree and De Beers Inspired Ice International Ice Carving Competition will be released shortly once all events are finalized.